Gull & Gilead islands are used as nesting sites for colonial waterbirds. The two groups of islands are found in the center of the Pine Island group and are known to support populations of nesting Herring Gulls, Ring-billed Gulls and Black-crowned Night Herons, a provincially rare species. They are largely open with only small pockets of vegetation growing in the many crevices and cracks found within the bedrock. 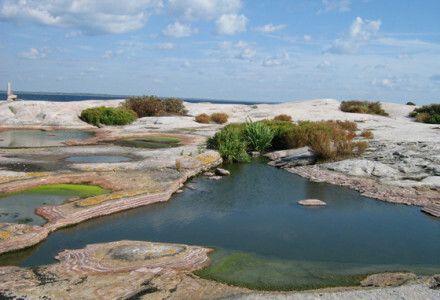 These islands are also likely to support some of the rare reptile species known from eastern Georgian Bay, specifically Eastern Foxsnake, a globally rare species that is listed as Threatened in Canada. They are frequently observed from the adjacent islands and both Gull and Gilead, in the context of the larger group of islands, provide ideal habitat for foraging and breeding. The islands also are likely used as a source of food for any mammals isolated on North Wooded Pine Island such as fox, which have been observed swimming from North Wooded to Gilead on occasion.